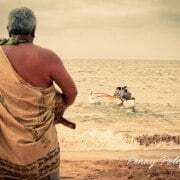 Over the last couple of years, stand up paddling in Maui has exploded in popularity to the point where everyone is hooked. Whether it’s from the shoreline of Makena, to the coves of Kapalua, or any point in between, dozens of people begin their day by getting out on the water. 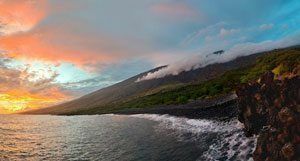 Here, from the calm coastline of what is consistently named the best island in the world, stand up paddleboards provide a dramatic perch for viewing Maui from afar. There are also the physical benefits of stand up paddleboarding, and being able to work on your balance and core strength while peacefully gliding above the reef is a meditative and healthy way to begin to the day. 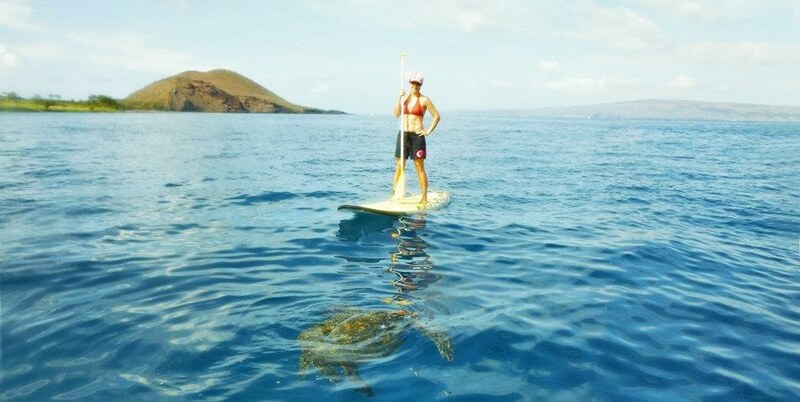 To experience stand up paddling in Maui for yourself, the best way to begin is with a stand up paddling lesson to learn the proper strokes and techniques . 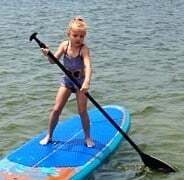 Even though stand up paddling is fairly easy to pick up, a single lesson can bridge the gap between beginner and proficient paddler. 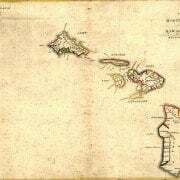 Since we want to share our stoke and passion with as many paddlers as possible, here are some helpful tips and techniques for stand up paddling in Maui. Don’t feel bad if you start on your knees—this is the easiest way to get a feel for the board as well as to gain your balance. This is also the time when you find where on the board you want to place your weight, since being too far forward or too far back will likely cause you to fall. When paddling on your knees, you will keep both hands on the shaft of the paddle as opposed to having one on the top. Build up a little momentum, and get the feel for which paddle strokes move you in which direction. Speaking of the paddle, you’ll notice that the blades on paddleboard paddles are slanted in one direction. Beginners will sometimes use the wrong side of the paddle, and it’s admittedly a little difficult to determine which is the correct side to be using. One way to look at it is to view the paddle as an extension of your hand. If you were to be paddling with your hand, you would make a stroke with your palm touching the water as opposed to the back of your hand. Look at the paddle in this very same way, so that the side of the paddle with the larger plane is what you would consider to be the palm of your hand. Once you’re ready to pop to your feet, place the paddle in the center of your board and your hands directly in front of you. Placing your weight on your hands in the center of the board, quickly pop up and stand on your feet, using a knee in the middle if it’s easier. Ideally, you want to grab your paddle on the way up and take a couple of short strokes to keep your momentum. Place your feet about shoulder width apart, since keeping a wide stance helps you from falling by establishing a solid base. When it comes to momentum, stand up paddling is in many ways like trying to ride a bicycle. Not only does the feeling come back to you after many months without paddling, but maintaining momentum is an important part to keep from falling over. Imagine standing on a bicycle without pedaling. It would be pretty hard, wouldn’t it? Now imagine riding the bicycle by comfortably moving the pedals. That forward momentum helps you keep your balance, and since the same principle applies to stand up paddling, you’re more likely to fall when standing still than gradually paddling yourself forward. Once up and paddling, many novice paddlers have somewhat of a tendency to make short “pokes” at the water. Short little strokes don’t build much momentum, and without momentum there is a good chance you’ll end up going for a swim. 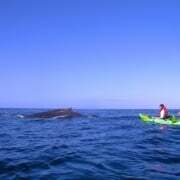 Instead, try to paddle with long, straight strokes where your arms are extended and you can reach far out in front of you. This way you can take long, purposeful strokes which will help propel you through the water, and try to keep your arms straight through the entire process of the stroke. Don’t feel bad if you fall off of the board; it happens even to the best of paddlers and sometimes you just lose your balance. The good news is that the blue ocean around you makes for a pretty comfortable landing site, and if you do feel like you’re going to fall off the board, the best thing to do is to simply let it happen and go for a graceful dip. On the other hand, if you try to make an emergency save and resist the temptation to fall, you could end up falling awkwardly to the board and endure a much harder landing. Besides, being able to cool off by just jumping off your board is one of the greatest benefits of stand up paddling, so look at falling as part of the experience as opposed to a paddling failure. 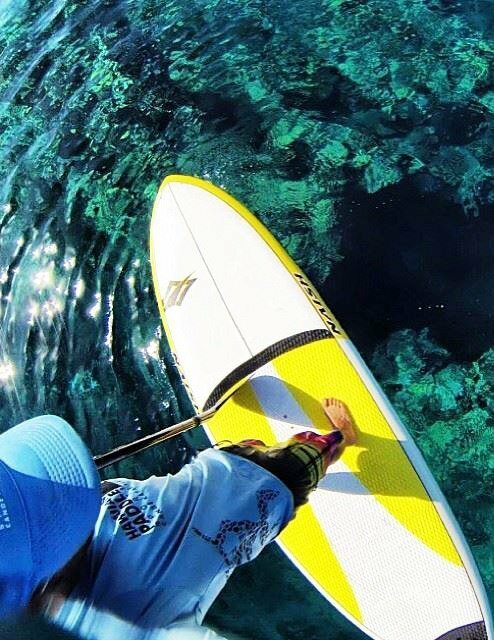 Stand up paddling is meant to be fun, and taking a moment to relax on the board can be enjoyable as paddling itself. From the vantage point of your own personal vessel, face the shore and watch the sun illuminate the mountains. Placidly drift above the vibrant corals and watch fish as they swim below. Listen to the sound of the Pacific Ocean as it gently laps at your board. 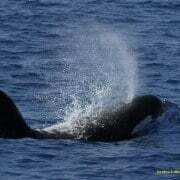 Breathe deeply, close your eyes, and let the gentle currents take over. 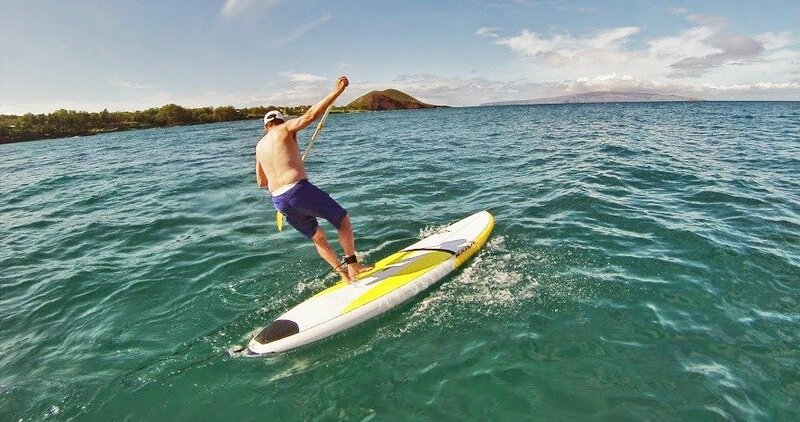 Mix these tips with a little bit of practice, and by the end of your first lesson you’ll be experiencing the serenity of stand up paddling in Maui. 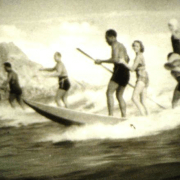 The conditions here on this beautiful island are perfect for more morning paddles, and when you take a look at the history of stand up paddling, you’ll notice that Maui was essentially the place where stand up paddling was reborn. 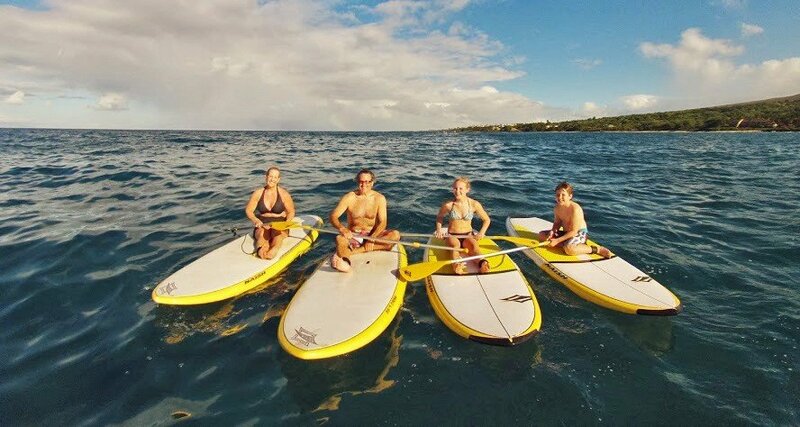 Easy, addictive, and fun for the whole family, stand up paddling in Maui is the perfect way to kick off a day in paradise. *Check back in a couple of months for our “Stand Up Paddling Tips and Techniques, Intermediate Level” post! 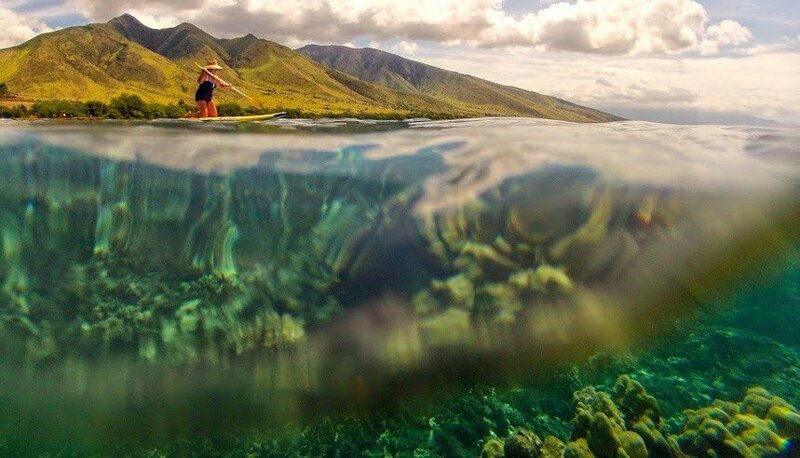 Have you ever been stand up paddling in Maui? Share your experience in the comments below!